Dee C Lee is a highly successful recording artist who has been at the heart of the British Soul and R & B music scene for more than thirty years. With her distinctive and entrancing vocal tone, she has performed with chart-topping acts, including Wham!, Animal Nightlife, The Style Council, Guru and Mother Earth. As well as writing her own hits, such as the acclaimed ballad See The Day (revived in a cover by Girls Aloud). Dee has rarely stopped writing and performing in all those years, and performed at London's famous venue Dingwalls. She has also been invited onto national TV chat shows, including ITV1's daytime show Loose Women. She formed an exciting new band, which touring in 2011. The year started from the very first minute, on New Year's Eve, with an exclusive performance at the famous Pheasantry venue on London's ever-fashionable King's Road. 2016 into 2017 will be very interesting so stay tuned for news direct from Dee. Dee started her career as a backing singer and first came to public attention when she performed with Wham! on their hits Club Tropicana and Bad Boys. Keen to establish herself as a solo artist, she left Wham! and secured her own recording contract with CBS Records. She released her first solo single, Selina Wow Wow, which received significant airplay. In May 1983 while still pursuing her solo career, she teamed up with The Style Council and appeared on their 2nd single Money Go Round and their debut album Cafe Bleu. Dee's distinctive and soulful voice can be heard on many tracks including Headstart for Happiness, It Didn't Matter, The Lodgers, Walls Come Tumbling Down, and Shout to the Top. Lee continued to record solo material during this time, with popular singles such as Yippee Yi Yay! and Don't Do It Baby. In 1985, after the release of the second Style Council album Our Favourite Shop , Lee released another solo single. The self-penned ballad See the Day became an instant classic. The single was a huge UK hit and peaked at No.3 in December 1985, selling a quarter of a million copies in the UK alone and earning Lee a record industry Silver Disc. Lee followed up the success with two further solo singles: a cover of Judie Tzuke's Come Hell Or Waters High, and the self-penned Hold On. 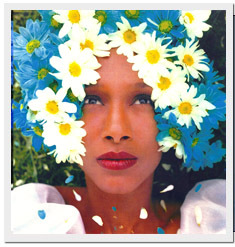 Both tracks were featured on her 1986 album, Shrine. Twenty years later, See The Day was covered by Girls Aloud, their version peaking at no.9 on the UK Singles Chart in December 2005. Throughout the rest of the 1980's, Lee (by then married to Style Council frontman Paul Weller) continued to work with the band on their albums Home and Abroad (1986), The Cost of Loving (1987), Confessions of a Pop Group (1988) and Modernism: A New Decade (1989). Between 1989 and 1991, Lee teamed up with Robert Howard of The Blow Monkeys to form the recording act Slam Slam. They achieved a number of UK club hits, including Move (Dance All Night) and Free Your Feelings, the latter produced by The Young Disciples. These tracks were club hits in the US as well as the UK. to promote the Things Will Be Sweeter album. In 2006, Lee played the part of a pop star in the comedy film Rabbit Fever. In September 2007, Lee performed her hit See The Day on ITV1's Loose Women show. In 2008, Lee had a singing role in the British short movie, The Town That Boars Me, which also starred her son Natt Weller. On 31 May 2009, Lee joined ex-Level 42 musicians Mike Lindup and Phil Gould to play a comeback gig with a collective called Favoured Nations. The gig took place at Ginglik, Shepherd's Bush, London. On 11th Oct 2009 Lee played a memorable gig at Dingwalls in Camden before she played The Pheasantry in Chelsea again on March 5th 2011. Join the Mailing list for future early-release information of any forthcoming Dee C Lee events.